The BMW isn't dubbed 'the ultimate driving machine' without cause. The auto maker's presence as a status-symbol company is based not merely on flash, but on substance. 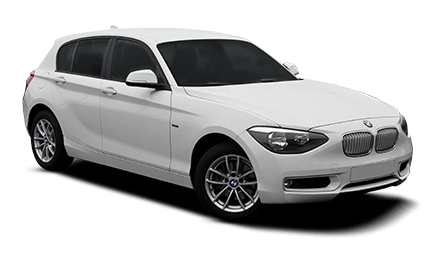 A 'Beamer' embodies comfort, performance, and efficiency in one sleek package. A whole host of driver-assistance options, such as navigation and communications packages, are packaged into BMWs. Even the 4-cylinder engines used in many models boast a robust 240 horsepower, outperforming many V6 engines on the market. With so much emphasis on the entire experience of driving a BMW, from its lavish comfort to its high performance, from its driver-pleasing communications features to its exquisite handling, it's clear that a BMW owner won't choose just any shop to repair such a finely-tooled automotive machine. Inferior repairs can lead to inferior performance. Substandard parts and imperfect or imprecise fixes will cause a host of potential problems further on down the road. A shop with a proven record in repairing BMW models will ensure that post-repair performance doesn't suffer, no matter how extensive the work is. Every system within the car needs to be handled with care and an eye to precision. Eurowrench at Greensboro is just the place to provide that expertise and care. The ASE-certified mechanics employed at Eurowrench provide forthright estimates of the repairs you'll need, and execute that work with precision – just like your BMW.